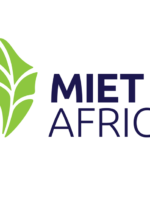 In July 2016, MIET AFRICA in partnership with aaD (africa action/Deutschland e.V.) 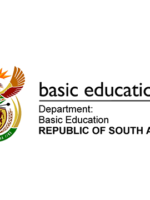 and the KwaZulu-Natal Department of Education, completed an Inclusive Education pilot project involving a Special School as a Resource Centre (SSRC), a Full Service School (FSS) and a mainstream school in the uThukela District of KwaZulu-Natal. The pilot project demonstrated how the continuum of support across the three school types at district level could benefit children who are denied access to quality education because of barriers to learning and development. The project also focused on how teachers could screen and identify learners with barriers and implement individual support plans that catered for learners of different abilities. In 2017, aaD requested MIET AFRICA to implement a four-year Technical Support Programme (2017–2021) focusing on 10 schools in the uThukela District, with the aim of building the capacity of these schools to implement a holistic Inclusive Education strategy to ensure improved education access, retention and progression for all children and youth in the project schools. The key activities of the project include: advocacy and project establishment; training and support of SBSTs (including teachers); and service delivery events and campaigns. 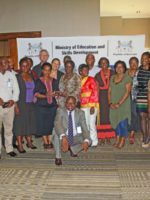 MIET AFRICA collates and develops relevant worksheets and handouts, and trains teachers in teaching for diversity and implementing curriculum differentiation strategies in order to make the curriculum accessible to all learners. IE Uthukela was an international project in which MIET AFRICA partnered with aa/D (africa action/Deutschland e.V.) to pilot inclusive school development to improve education access, retention and progression for all children and youth, using a holistic inclusive education strategy. The other countries involved were Bolivia, Burkina Faso, Ghana and India. The South African component of the project was located in the Uthukela District in KwaZulu-Natal (KZN). It focused on researching the continuum of support that schools provide to learners across the three levels of support—i.e. at a mainstream school, a full service school and a special school as resource centre (namely Lokothwayo Combined, Madlala and Nkanyezi Schools, respectively.) 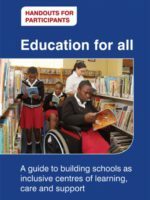 Specifically, it aimed at strengthening the KZN Department of Education’s Inclusive Education strategy, which seeks to address all barriers experienced by learners, including those related to curriculum, pedagogy, disability, poverty, poor health and disease, orphaning, sexual abuse and violence, hunger and poor nutrition. 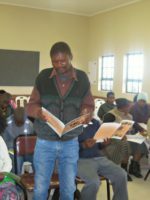 The goal of the project was to ensure that disabled and socially disadvantaged children and young people aged 6–14 (for people with disabilities, up to 21) in the Uthukela District received quality education through access to an inclusive education support system. 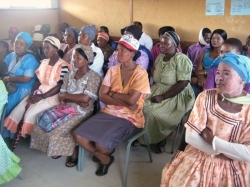 The international component of the project involved research, which in South Africa was conducted by aaD. 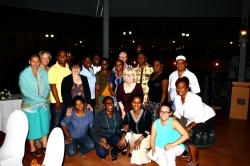 In September 2013, the Uthukela project hosted the first inter-country project sharing meeting, with delegates from Burkina Faso, Ghana, Germany and India attending. Delegations from South Africa participated in subsequent meetings in Burkina Faso, India and Bolivia. IE Uthukela was funded by BMZ (Federal Ministry for Economic Cooperation and Development), Germany.